Fifteen years ago, the American Journal of Psychiatry reported research that not all obsessive-compulsive disorders are alike. Two individuals with obsessive-compulsive disorder, the scientific evidence showed, may have totally different and non-overlapping symptom patterns. For example, the obsession with counting, hoarding, arranging and collecting doesn’t usually accompany the compulsion for hand-washing, religious ritualism, sexual aggression, or vice versa. Deripaska is recorded as calling the files his private cash registers; printed versions for 1997 to 2000, running to about 200 pages, have been submitted. They are still being analysed by forensic and accounting experts for Cherney’s legal team. The accounts are for the years when Deripaska claims he had no business relationship with Cherney, and was forging by himself the aluminium business that has become United Company Rusal. 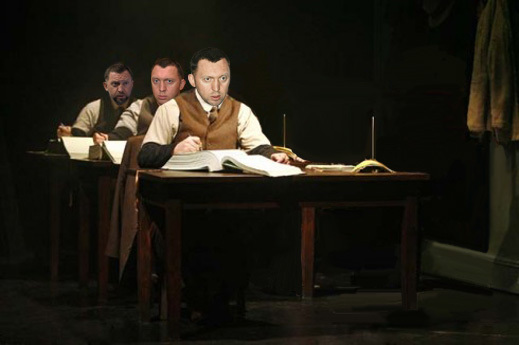 From mid-2000 on, Deripaska has claimed his special bookkeeping was converted from spreadsheets, balance-sheets and paper summaries to a computer recording programme called FINPROVOD (Финансовый Проводник — Financial Explorer). But Deripaska and his lawyers have resisted disclosing the full FINPROVOD archive he has been keeping for the past 12 years. In January of this year, Cherney’s lawyers requested proof of the authenticity of the records that had been handed over to date. Then in April, Cherney requested disclosure of all the FINPROVOD entries through December 2004. Deripaska resisted, and so in May Justice Smith ordered him to disclose the records. They were not delivered until June, and they are still being analysed. In the registers, Deripaska records payments to himself as Code A3. These are “payments and expenses related to the Defendant’s [Deripaska] business and charitable expenses” and “some payments and expenses that related to the Defendant personally.” Payor code for Cherney is revealed as A4. Deripaska and his lawyers resisted revealing this information until six weeks ago, on May 25. Cherney’s lawyers have told the judge they are still searching for Deripaska’s cash registers for the years before 1997, when they have provided evidence from Cherney’s records of substantial payments and loans to get Deripaska started in the aluminium business as Cherney’s employee and then his partner. By 1999, the Cherney loans Deripaska acknowledges as still owing in his diary amounted to $210.5 million. The new evidence is potentially devastating for Deripaska’s defence that Cherney was a gangster, with whom he had no business relationship, and to whom money was paid reluctantly because of extortion and threats against his person and his business. Radom was a foundation set up by Cherney in Liechtenstein, and according to other evidence already in the court record, owned 50/50 with Deripaska. Through Radom, and with permission documented from Cherney,Deripaska created the personal asset holding known today as Basic Element. This began as a limited company registered in Nicosia, Cyprus, in October 17, 1998, headed by nominee Cypriots. Registration documents reveal that Bazovy Element Ltd (Cyprus) originally was known as Eboli Holdings, and then NFM Holding. After the name change from NFM to Bazovy Element Ltd., the latter became the owner of the Russian company of the same name. The documentary evidence suggests that, since NFM was owned by Radom, the two Basic Element companies, Cyprus and Russia, were also owned by Radom. Radom was the final unit of accounting between Cherney and Deripaska which had overall control of the aluminium empire, supervising the metal trading operations through Benet Invest and Trade Corporation, a British Virgin Islands registration, and keeping the Russian smelters separate from the companies supplying raw materials, such as alumina, and taking finished metal for sale in export markets. For Deripaska the complex structure, with dozens of entities arranged in more than three vertical arrays, optimized on taxes that would have been required for payment in Russia, if not for schemes recognized as tolling. “Although Mr Deripaska has not disclosed any balance sheets or equivalent documents for the period after June 2000, a number of forward-looking cash flow projections have been disclosed. For present purposes, it is sufficient to note that, on alternative scenarios, repayments are forecast of the substantial amounts due to IKM and II (Ivan Ivanovich) (as recorded in the 2000 balance sheet) over the second half of 2000 and to the end of 2001.237 One of the forecasts has a projection for May to December 2001. It projects a payment of US$7.4 million from II in July 2000: an amount that comes in from Mr Cherney‘s company Arufa to Fastact on 24 July 2000.239 Some of the forecasts make different assumptions as to monthly income of RA – presumably the merged business with Mr Roman Abramovich – and those who prepared the spreadsheets and project repayment state ‘we believe that we can roll over loans’.”.